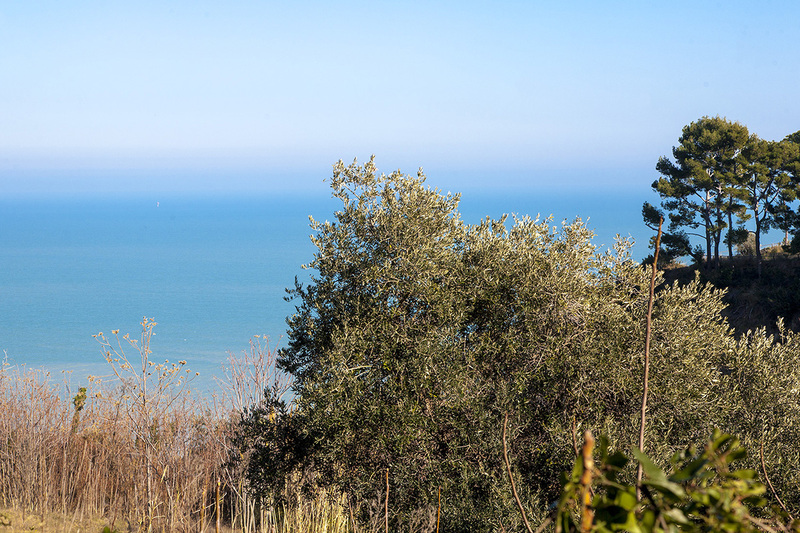 Cupra marittima is 5 mins away, the motorway at grottammare is 10 mins away and Ancona and Pescara airports are about 1 hour by car. 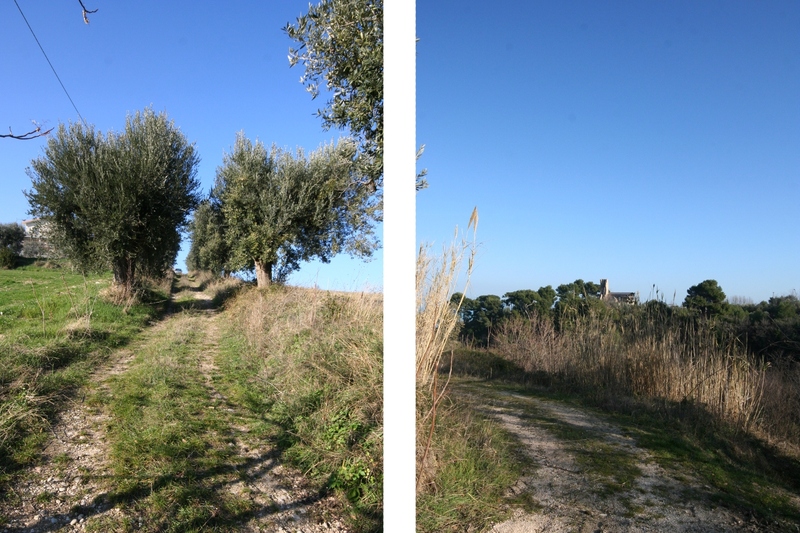 Access is via a white road that needs repairing. 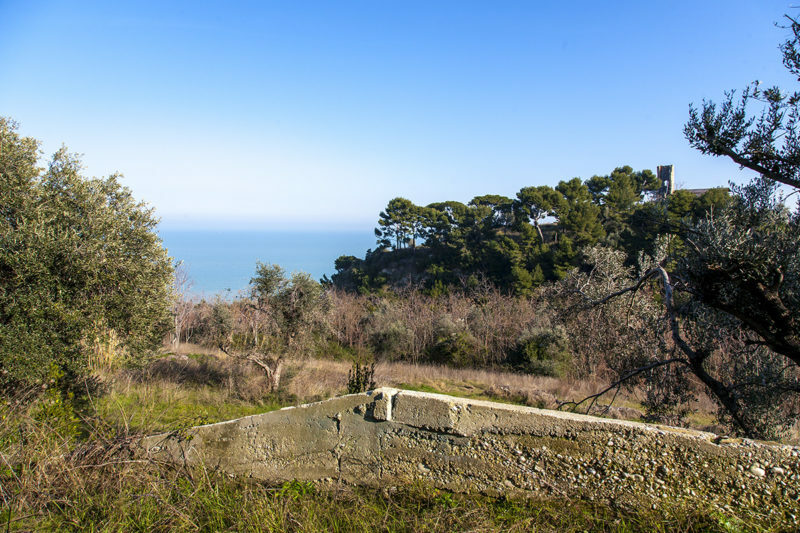 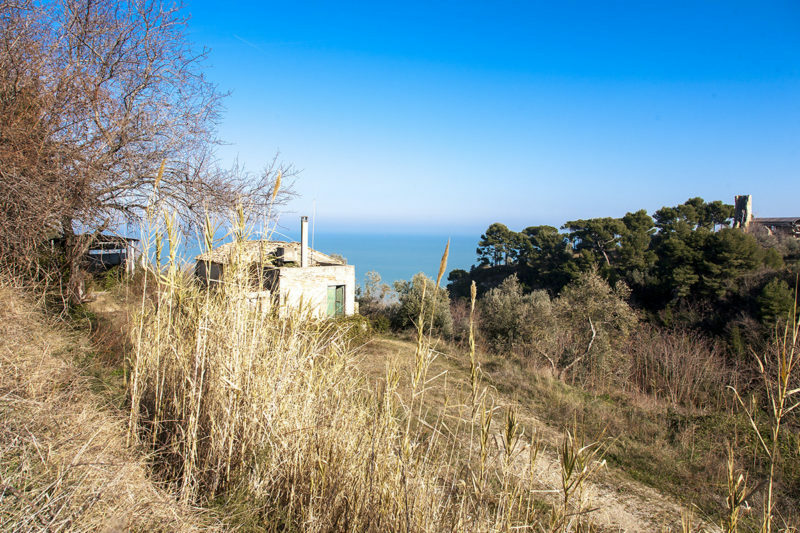 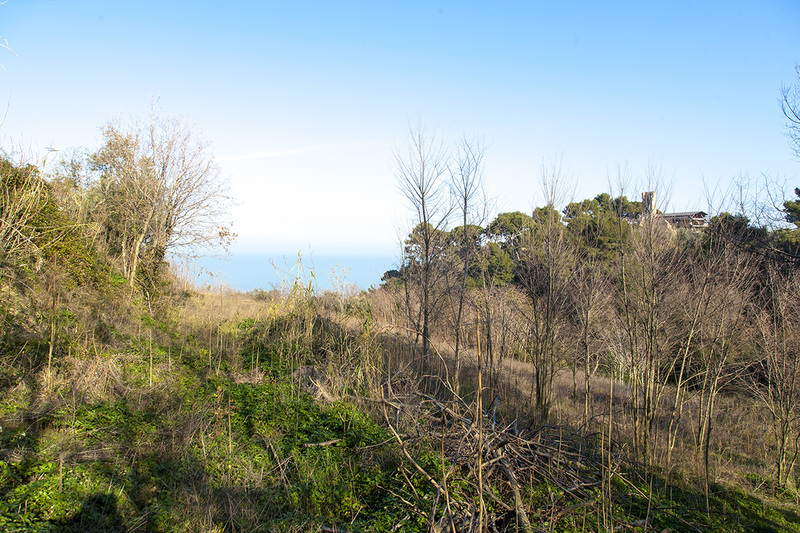 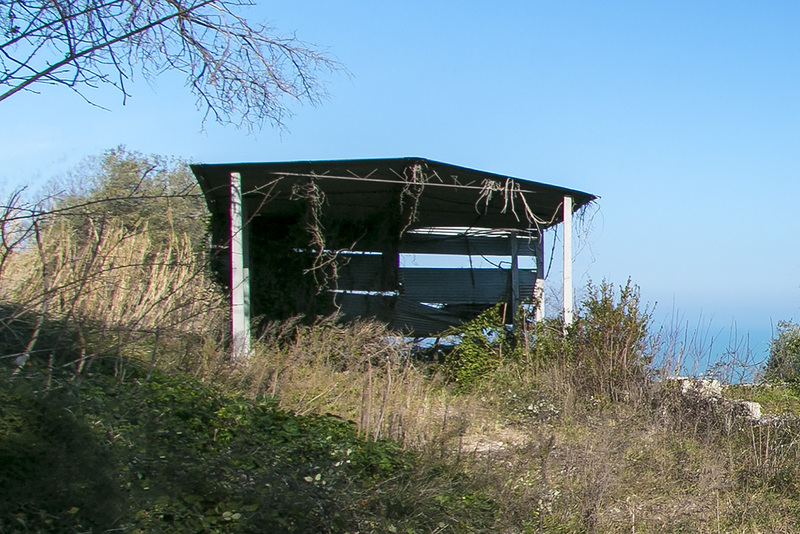 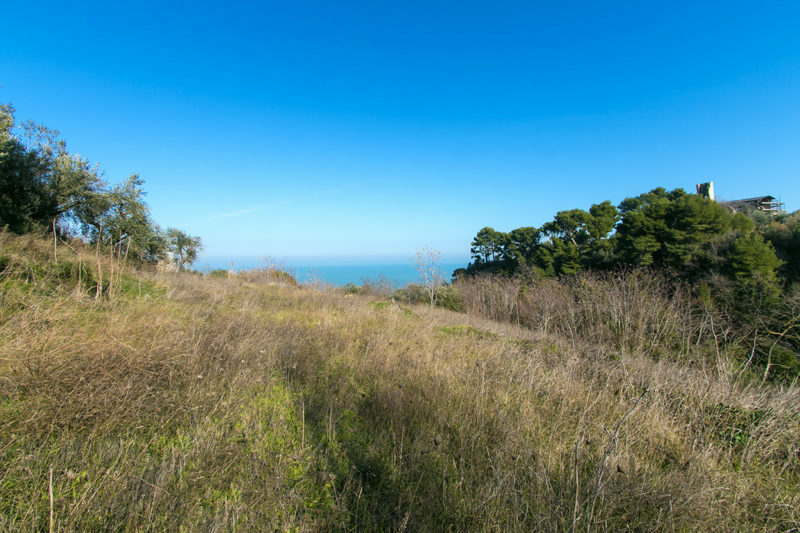 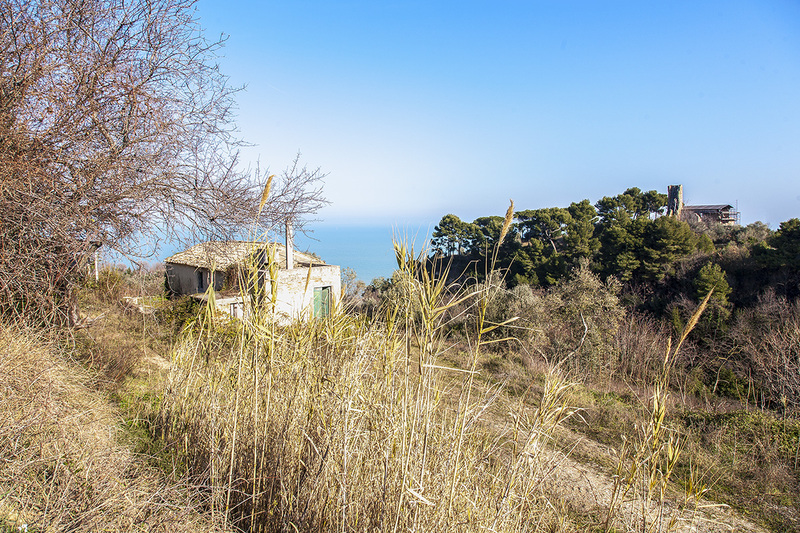 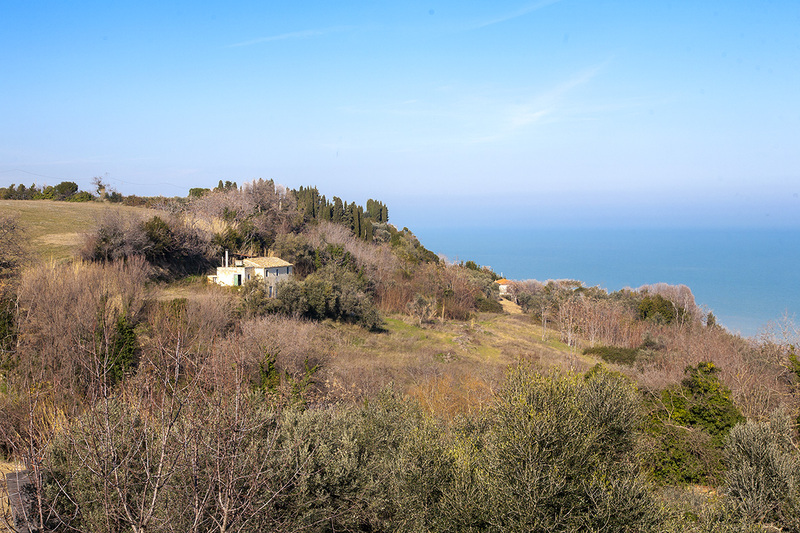 Simply a very rare opportunity to build the dream home in one of Marche’s best, dominating sea view locations. 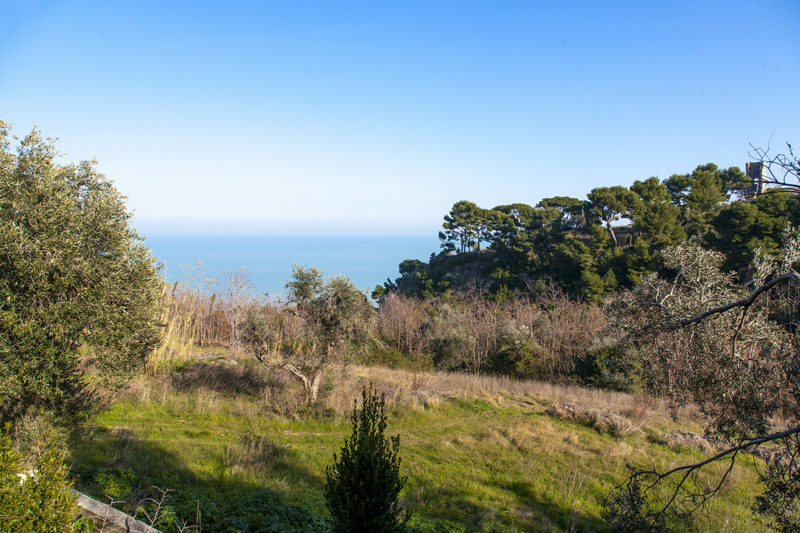 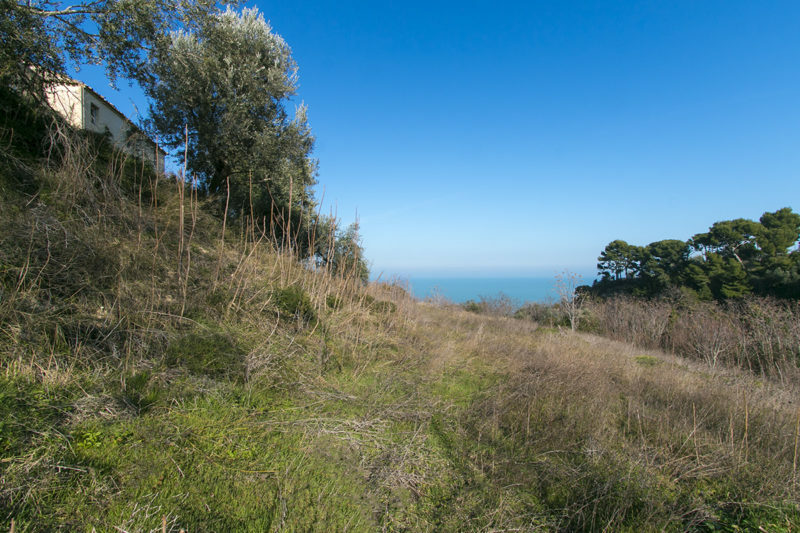 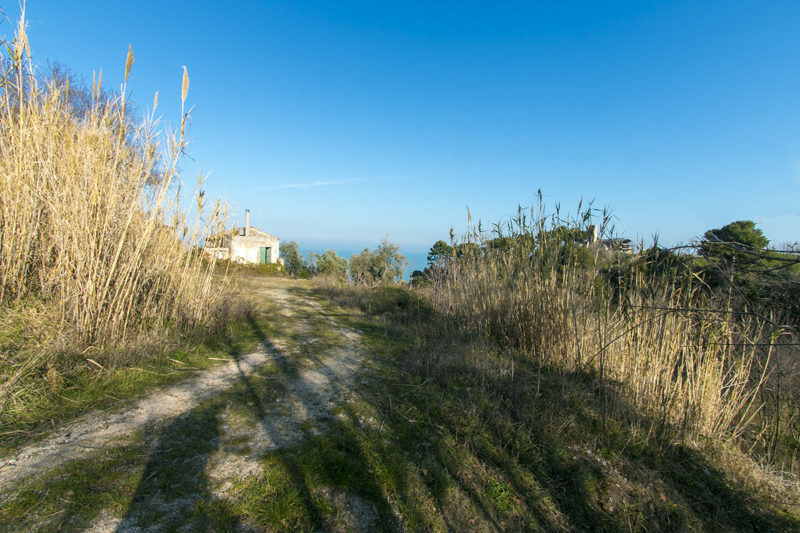 The property is in a quiet and unspoiled area surrounded by classic mediterranean vegetation in one of the few places in the Region where steep sided hills meet the sea. 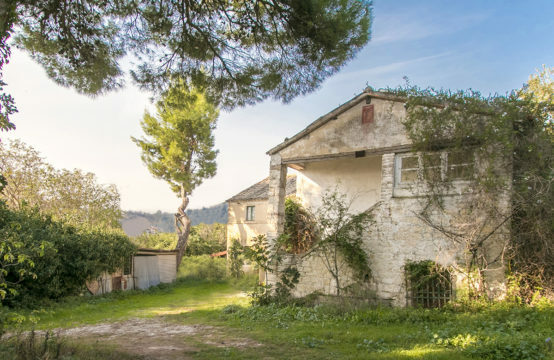 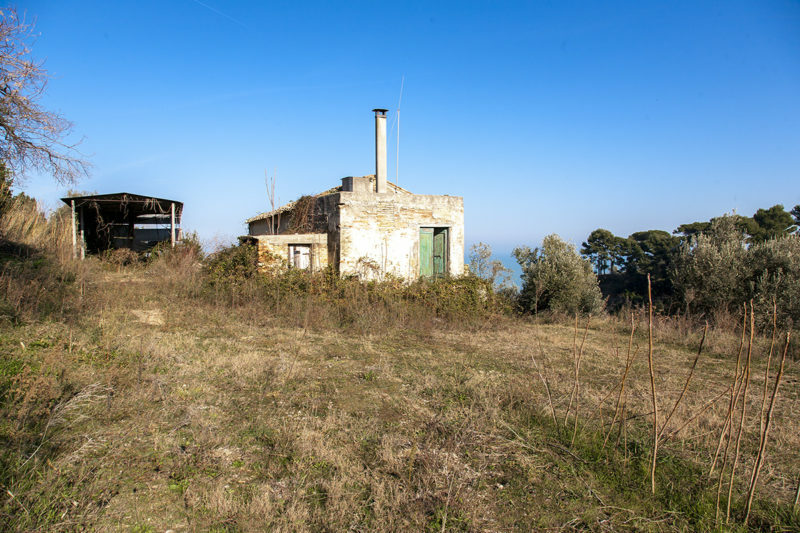 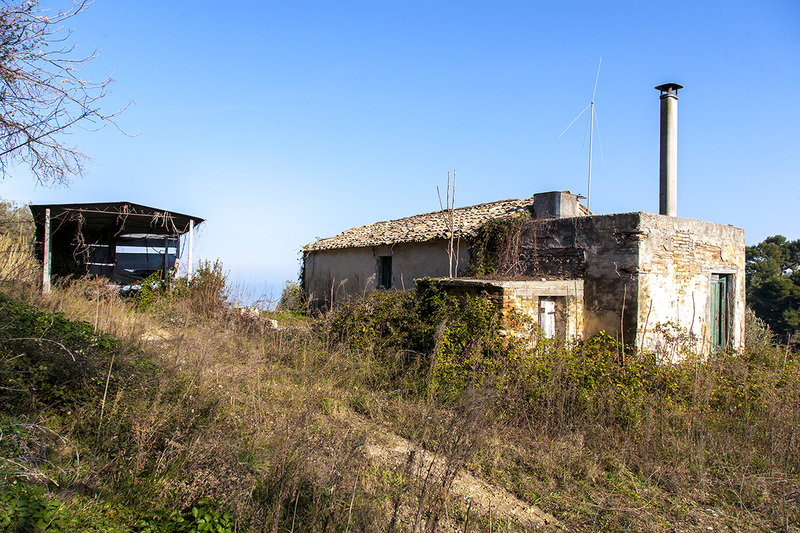 The combination of the farmhouse with 2 annexes to restore (235 sqm) and the available volume on the plot (about 2000 sqm), both South facing, comes to about 2235 sqm which can used for a single or several houses. There are also 32.000 sqm of agricultural land with about a dozen olive trees. 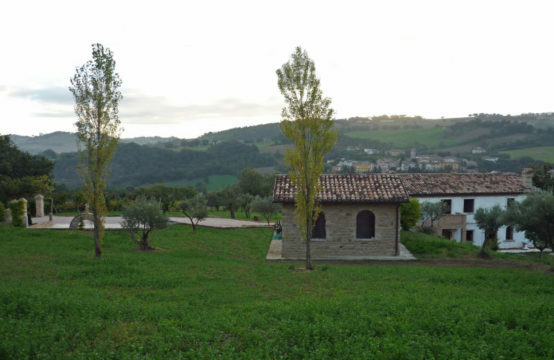 Large home and/or tourist accommodation. 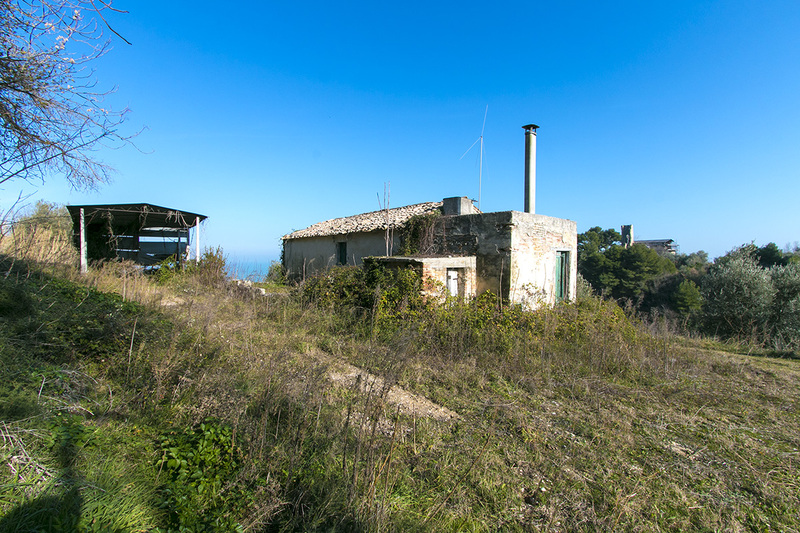 Excellent letting potential.